The Adults Only Wellesley Resort is settled inside a tropical rainforest and just 10 minutes from the beach. Enjoy with your partner and unforgettable children free holiday in this exclusive resort with only 18 rooms. All rooms provide air-conditioning, minibar, tea and coffee making facilities and en suite bathroom with a bathrobe, hairdryer and guest toiletries. Relax at the huge outdoor pool of the Wellesley Resort and disconnect from the outside world by well-being massages or discover with your couple the sea world by renting a diving equipment at the reception desk. Wellesley Café is specialized in international and Fijian cuisine and features ‘cuisine nights’ with traditional Fijian food and local Fijian entertainment. 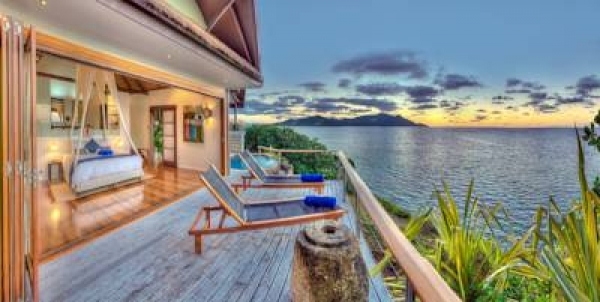 This fantastic adults only resort on the Beqa Island, is the perfect luxury escape for couples. 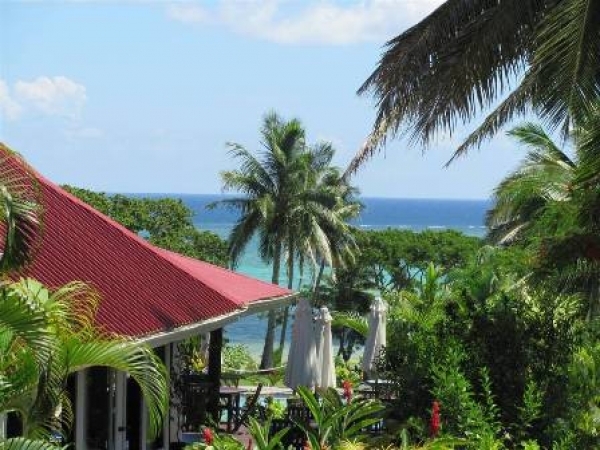 Situated between tropical landscape and with a private beach part. All the 15 villas offer air-conditioning, free WiFi, stunning sea views and a dining and lounge area. The bathroom offers bath robes and free toiletries. Your own hot-tub and sun loungers on the terrace. A wide range of watersports including diving and snorkeling can guests include, as well as a wellness area with massages.